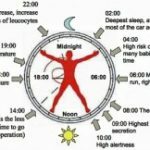 Circadian rhythm disorders are irregularities in the functioning of the circadian clock that regulates several body processes in humans, including the sleep-wake cycle. These irregularities may be due to internal problems such as incorrect timing of hormonal secretions or they may be external, such as changes in working schedule from daytime to nighttime, or travelling to a place with a different time zone. In order to evaluate the different types of circadian rhythm disorders, different tools and strategies can be employed. Core Body Temperature – This circadian phase marker is one of the most widely used assessments strategies for circadian rhythm disorders. When the brain realizes that it is already time for sleep, it sends signals to lower the body temperature. So, you can measure the body temperature of a patient to determine a few details abouts his sleeping pattern. However, this strategy is not very accurate since it is easily affected by eating and other activities. The consideration of core body temperature data may be valuable in research but not for clinical trials. Melatonin Secretion – The hormone melatonin, which is secreted by the pineal gland, is released in low amounts during the day and in high amounts during the night. This is the hormone responsible for inducing sleep. In order to determine the circadian phase of the patient, the amount of melatonin in the plasma or in the saliva can be analyzed using immunoassays. But since melatonin secretion is suppressed by light, the study is essentially done in a dim room. Sleep Diaries – In this type of diary, the patient is required to indicate the time at which he or she wakes up and the estimated time at which he or she falls asleep. The patients can also indicate the quality of sleep they had and the times during the day that they feel sleepy, such as during their night-shift work, or during breaks and commuting home. Actigraphy – This tool gives accurate information regarding the sleep and wakefulness of a patient by analyzing multiple sleep-wake cycles. Many studies cite actigraphy to be a very helpful tool in the diagnosis of several sleep disorders such as delayed and advanced phases, free-running circadian rhythms, and shift-work disorders. 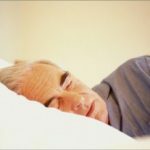 Morningness-Eveningness Questionnaire (MEQ) – This questionnaire, developed in 1976, is widely used to classify the circadian tendencies of sleep disorder patients. It consists of 19 questions that aim to determine whether a subject is more likely to be active during daytime or nighttime. The questions had multiple choices, each answer having a score of 0 to 6. The possible total scores ranged from 16-86, and patients who get a lower value are classified to be the evening types. 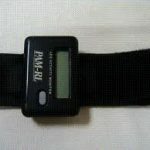 Polysomnography – Using this technique, the biophysiological changes that occur in patient while he or she sleeps is recorded. 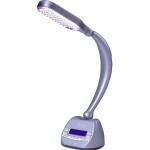 The polysomnogram monitors the body activities of the brain, eyes, muscles, heart, and lungs. This technique is also used in tests like Multiple Sleep Latency Test and Multiple Wakefulness Test.